Please fill out the form for a printable PDF. Get tried-and-true advice, best practices, and valuable exercises to equip and inspire you to pursue leadership positions within your organization. 73% of all nonprofit employees are women. Women account for only 45% of nonprofit CEOs. 21% of nonprofits with a $25+ million budget have a female CEO. Women of color account for less than 14% of board members. Female CEOs make only 66% of male salaries. THERE’S 0% YOU CAN DO ABOUT IT. 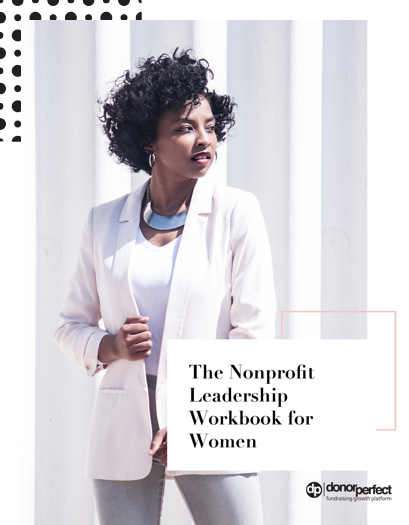 This workbook was made possible by women leaders in the nonprofit community. These women are living proof that the current gender gap in nonprofit leadership can change to reflect the diversity and inclusivity that organizations champion every day. Chart your path to leadership today.